This has been a really challenging project but you have supported us really well through out with expert advice and brilliance thinking. The branding and eCommerce design speak for themselves - wonderful work. This project picked up awards in two categories at Transform MENA 2016, winning one for Best Rebrand of a Digital Property, Best Naming Strategy and the highly coveted Best Identity from the Financial Services Sector. The UAE is a quickly developing market where key players like MAF are consolidating their position through the innovation of self-sustaining services which maintain value within the their corporate ecosystems. With innovative new financial brands coming to market, including entrants in the mall card business such as You Got A Gift, MAF Finance needed to act; it created a competitive eCommerce brand that it could use to retain greater value within its group while also providing it with a key growth opportunity in financial services. The current Mall Gift Card brand was not performing in terms of sales or customer engagement. The name was utilitarian but also represented a closed market – it could not offer products other than cards for MAF’s malls. The current eCommerce brand had no direction due to a lack of strategy and vision while the visual identity had no discernible sense of self and this led to an online experience which lacked presence and user engagement. We needed to create an eCommerce brand which could sit in the MAF family, be distinctive yet different and capture hearts as well as minds. 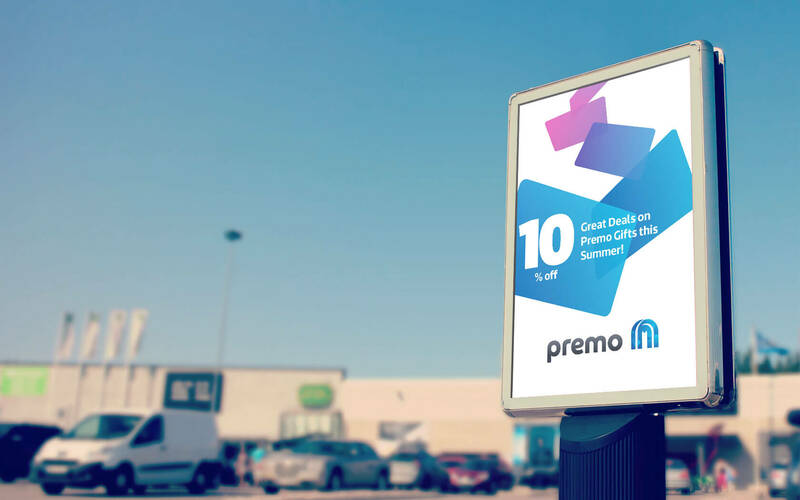 Premo needs to sit within the framework of MAFs mall and corporate brands. We researched the principles underpinning these and concluded that both shared key considerations – they we about enabling people to ‘enjoy great moments, together’. The key reasons for people engaging with prepaid brands was two fold – ‘the convenience of prepaid’ and ‘easy online gifting’; with the latter having a stronger emotional foundation on which to build a digital brand. The eCommerce brand had to be simple, engaging and responsive to user requirements. We wanted to minimise dislocation from initial interest and engagement to final sale closure, to ensure we converted as much casual traffic into sales as possible. With a highly own-able name we set to work on a visual identity that could take the top of mind position in the prepaid card market. While we had to employ the ‘M’ device from MAF corporation we were free to work around this in all other areas. We created a unique ‘M’ which is filled with ‘cards in free flow’ – as if MAF was a portal to the prepaid card universe. Added to this is a unique typographic mark to conjure friendly feelings aligned to the brands vision ‘To empower safe & enjoyable retail experiences’. As well as the logo, we created new typographic standards, a new softer and a friendlier colour scheme and a new visual asset that represented the ‘free flow of prepaid’. 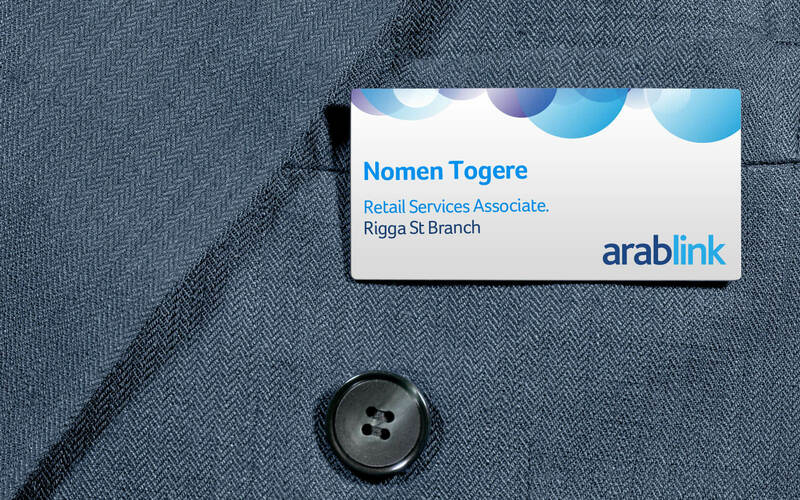 This visual asset can be broken apart and reapplied in various configurations. Finally the identity co-opts the lozenge shape of cards as its own identifier – setting the brand on course to be the first name in prepaid card purchases. Strategy, Project Planning, UX, UI, Digital and Responsive Web Design, Content Development, Copywriting.